This ... was filmed in Nuestra Senora de Narek, the Armenian Cathedral parish in Buenos Aires, and the celebrant appears to be His Eminence Vartan (Boghossian), Eparch of St Gregory of Narek in Buenos Aires of the Armenians and Apostolic Exarch of Mexico & Latin America for the Armenians. At the time, my thought was that it was a one-time thing. However, a few days ago, I happened to come across the website of the Eparchy (or, at least, of its Cathedral parish). When it comes to Spanish, my linguistic skills are limited, but I found a link to an English translation of the site (albeit a computer-generated one, with the rough translation that is common to such). 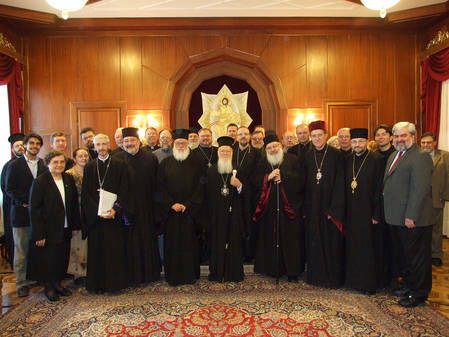 I have to admit that it was a bit of a shock, in scanning the site material to find that the Eparchy was celebrating - if I understood correctly - 13 years of involvement with the Neocatechumenal Way. Nuestra Parroquia tiene una activa práctica espiritual. Además de la Santa Misa que se celebra todos los días a las 19 hs, contamos además con dos grupos en constante crecimiento espiritual. La Renovación Carismática Católica ha pasado ya sus primeros 25 años de vida en la Parroquia, y el Camino Neocatecumenal con sus tres comunidades lleva 13 años desde aquellas primeras catequesis de inicio por iniciativa de nuestro Padre Obispo, Monseñor Vartan Boghossian. Our Parish has one active spiritual practice. Besides Santa Misa who is celebrated every day to 19 hs, we counted in addition on two groups in constant spiritual growth. 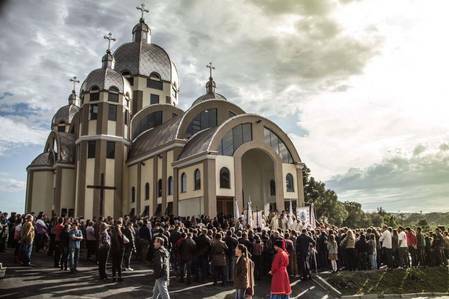 The Catholic Charismatic Renovation has spent already his first 25 years of life in the Parish, and the Neocatecumenal Way with its three communities takes to 13 years from those first catechesis of beginning on the initiative of our Father Bishop, Monsignor Vartan Boghossian. I hesitated to post this, because prior discussions regarding the NC Way have not been particularly productive, and I'm not much for roiling the waters with no real expectation that there'll be anything productive come of the matter. However, I was so taken aback by what I previously perceived as a one-time event but now see is apparently a long-standing relationship, that my mind was a bit boggled - and I decided that people should, at least, be aware of it. 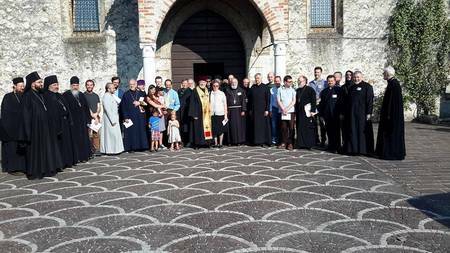 With the exception of the one Melkite hierarch in the Middle East (I forget which one) who was reported as welcoming the NC Way to his Eparchy, I can say, gratefully, that I'm unaware of any other incursions of this movement into our jurisdictions. But, that this particular instance has a 13 year history is a real eye-opener. This is just sooo wrong. Them there New Ecclesial Movements doth verily indeed give unto me a severe case of the heebie-jeebies. I notice that the Eparchy of St. Gregory of Narek in Buenos Aires only has one priest (for 16,000 members), and that the Apostolic Exarchate of Latin America and Mexico also only has one priest (for 12,000 members). Is this the result of all these years of "active spiritual practice"? I've expressed my opinion of the NCW repeatedly not just on this forum but elsewhere, and so I am not interested in rehashing all my previous criticisms against it. Instead, I would like to have a discussion on how NCW -- and many other "New Ecclesial Movements" in the Roman Catholic Church (such as the various French "new monastic" groups, Focolare, etc.) -- like to borrow Byzantine motifs and iconography (well, sort of) in order to incorporate these into their liturgy and spiritual exercises. I would like to know what the Eastern Catholics on this board think of that practice. I have my own (largely negative) opinions on this matter already but I am interested in YOUR opinions, whether positive or negative. I remember that the NCW tried to enter into the Russian Orthodox Church as well but the Moscow Patriarchate rebuffed them quite bluntly. Last edited by asianpilgrim; 08/06/09 02:27 PM. I shudder to think. Seems to me to be a painful result of pastoral malpractice. CARAMBA! As Father Taft is wont to say, innovators frequently turn to Eastern Christian themes to justify what they want to do, without actually understanding the entire Tradition that underlies those practices. This frequently results in using the practices to justify concepts alien to the Tradition whence they came. Instead, I would like to have a discussion on how NCW -- and many other "New Ecclesial Movements" in the Roman Catholic Church (such as the various French "new monastic" groups, Focolare, etc.) -- like to borrow Byzantine motifs and iconography (well, sort of) in order to incorporate these into their liturgy and spiritual exercises. I would like to know what the Eastern Catholics on this board think of that practice. I certainly have an opinion - this practice is wrong. My problem isn't that someone's adopting "eastern" things into a "western" context. Nor is my problem with the fact that people often don't understand what Byzantine iconography is - that some are ignorant of the basic principles of iconography despite many great books about the subject, that some will make "icons" which integrate western popular devotional imagery, or some icons used in western parishes don't follow the rules of iconography. My problem is that if a western parish uncritically incorporates eastern images, it gives me the impression one thinks one's own tradition is inferior. If you were to look solely at "western" religious art from before, say, 1300, most (may be all?) is in comformity with the standards of eastern iconography, and many of them in a similar style. Look at the pre-gothic art of, say, the churches in Rome (for that matter, much of the 'gothic' art I also think is perfectly fine). Granted, many of these come from a time when east and west were culturally quite similar. Last edited by MarkosC; 08/07/09 02:34 AM. Seems to be the updated version of "uniatism" that a number of Eastern Catholic Churches indulge in ... still. I'm not Eastern; I'm Orthodox. There may be something to this, from what I have seen, however. A number of times on Catholic blogs I read, I (read: Orthodoxy) have been invoked as support by liturgical and socio-ecclesiastical liberals to support their agenda on a number of topics (married priesthood, for example), when they clearly have at best a simplistic and rudimentary understanding of Orthodoxy. 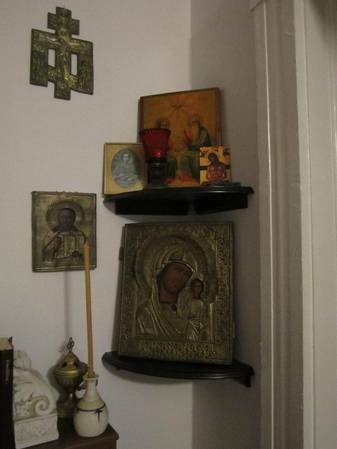 I'm not Eastern; I'm Orthodox. But there is more to the East than the Byzantine Tradition, and Western innovators have, in their day, borrowed not only from Constantinople but from Alexandria, Antioch and Edessa. Everything is fair game to them, because they do not understand how one cannot cherry pick a Tradition for the bits and pieces one likes, without buying into the whole. As Taft also likes to say, a rite is like a language, and each language has its own characteristics. Some languages lack articles, but that does not make them inferior to those that do; and borrowing articles from some other language will not improve them. Conversely, removing articles from languages that have them, in order to bring them into line with those that don't, will not make those languages better. All that happens in either case is the language loses its unique identity and genius. Last edited by StuartK; 08/08/09 01:16 PM. You realize I wasn't being argumentative, but agreeing. Oh, sorry. Thought you were somehow trying to say they were stealing from the Orthodox Tradition exclusively. 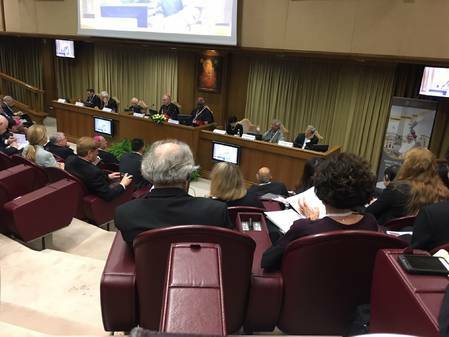 By the way, what is the Neocatechumenal Way? As Taft also likes to say, a rite is like a language, and each language has its own characteristics. Some languages lack articles, but that does not make them inferior to those that do; and borrowing articles from some other language will not improve them. Conversely, removing articles from languages that have them, in order to bring them into line with those that don't, will not make those languages better. Ooohh! All I need is a bit of luck to quickly turn this to a discussion on those who use split infinitives to end a sentence with!